We’re big fans of cast iron (for these reasons), but our current skillet is more suited for steaks and cornbread than omelettes, which require gentler sides. Enter the Iwachu Cast Iron Omelette Pan ($120). 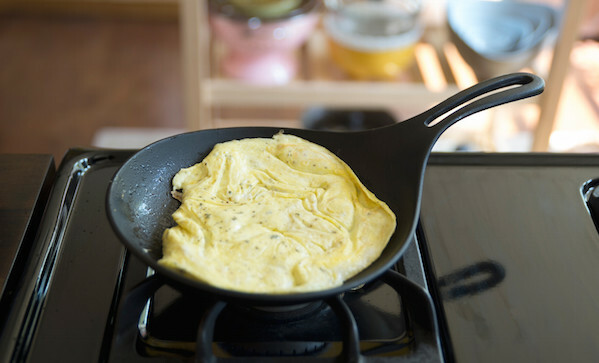 It’s a hand-made Japanese pan with all the regular benefits of cast iron (high heat retention, non-stick, will survive the apocalypse), except it has curved sides for all your omelette needs.